After the communists destroy his dream of becoming a recognized painter, Reinhardt Drixler escapes Hungary and moves to America to further his artistic ambitions and provide a better future for his young family. Twenty-five years later, his son Béla falls in love with Suzy Kiss, an alluring Hungarian striptease dancer whose interest in Béla can be summarized in two words: green card. 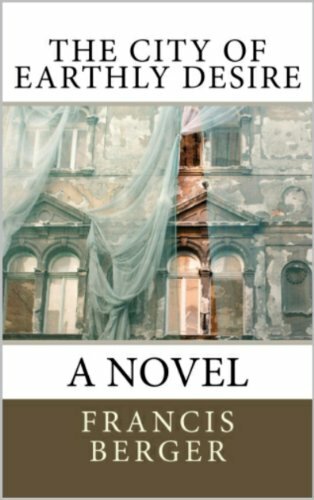 When Suzy is mysteriously deported, a devastated Béla must make a decision – should he stay in New York and continue with the noble artistic ambitions his father instilled in him, or should he follow his heart to Hungary and explore the enticing and risqué opportunities blossoming in Budapest after the collapse of communism? The City of Earthly Desire is a sweeping novel of love and lust, beauty and vulgarity, humor and pathos, and art and ethics. The story is peopled by a memorable cast of characters who are as intense, turbulent, and ambivalent as the place and time they occupy. Like the great novels of the 19th century, the narrative is epic in scope – entertaining and humorous, yet profound.